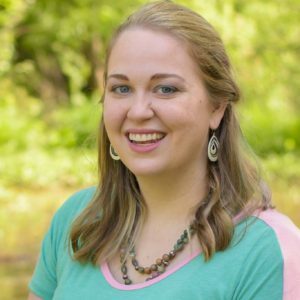 Meredith Flory is a freelance writer, educator, military wife, and homeschool mom excited to be a part of the Powerhouse team. After teaching at the high school and college levels, Meredith started freelance writing in 2015 as a way to continue her career while staying at home with her children. She got her start writing a monthly column in Augusta Family Magazine called “Raising Readers.” Now in its fourth year, “Raising Readers” discusses fostering literacy on a wide range of subjects and won an award from the Parenting Media Association in 2017. As an educator, Meredith understands that a skill she brings to any client is taking large pieces of industry-specific information and packaging it in a way that appeals to and teaches a broader audience, and she loves interviewing specialists and experts to help them share their research and experiences. Meredith has a master’s degree in children’s literature from Kansas State University and has written for various publications on parenting, military life, spirituality, and travel as she continues to expand her writing career. She currently lives in Texas and enjoys spending time with her family road tripping and being one of the few people who still prints pictures from those trips to put in her scrapbooks.